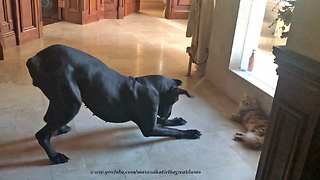 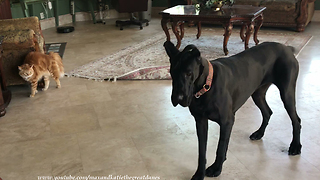 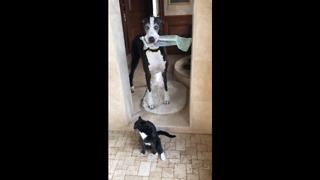 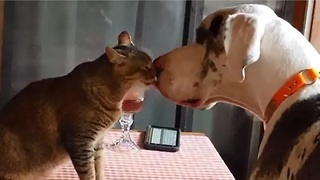 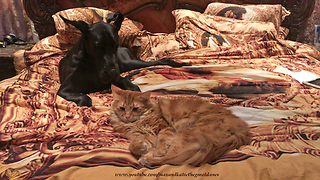 Rumble / Funny & Cute Animals - Ellie the Great Dane loves to play with her buddy Jack the cat. 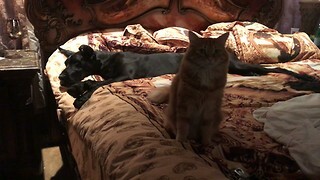 Watch and laugh as Ellie pesters Jack to get up off his bed and play with her. 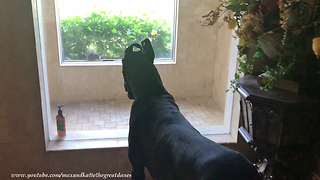 Jack ignores Ellie&apos;s barking and bouncing, leaving Ellie no choice but to play with her jumbo bone, instead of her cat buddy!